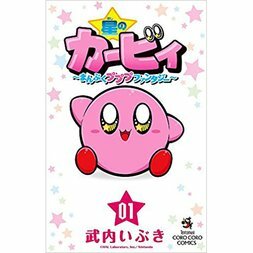 Kirby first appeared in Kirby’s Dream Land (1992) over two generations ago and since then has starred in over 20 videogames as well as manga and anime. 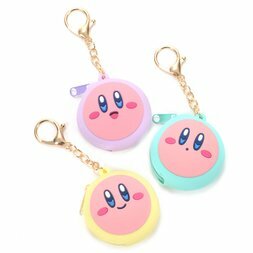 Now Kirby is a favorite Nintendo character loved throughout the world for his adorable appearance, positive attitude, and abilities. 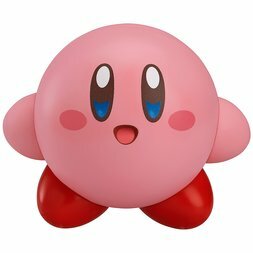 Kirby has a flexible, round pink body that is 8 inches tall and light enough to be carried as well as float or fly when he inhales enough air and flaps his arms. He also has stubby pink arms, two big red feet, large eyes with a touch of deep blue, and blushed cheeks. He’s often seen with an open smile, but his mouth size and shape changes with his mood and actions; It can go from being a very small circle when curious to a huge one when inhaling an enemy! 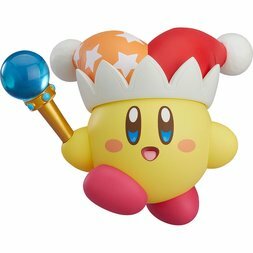 Kirby is cheerful, childlike, and loves to help people. 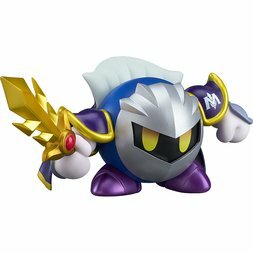 He doesn’t dislike anyone, not even King Dedede, but does have a strong sense of justice and will go bravely into battle. His impulsiveness has occasionally caused some trouble. Kirby loves to eat and has a huge appetite. It’s his favorite past time besides singing which he is unfortunately terrible at but still enjoys. ・Inhale: Kirby’s signature move allows him to inhale enemies and objects as well as spit them back out as a Star Spit attack. ・Super Inhale: After a few seconds of inhaling, Kirby can inhale even larger objects. 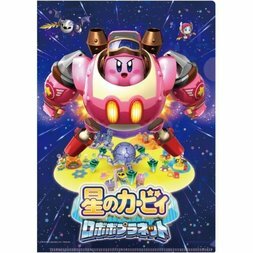 ・Hypernova: By touching Miracle Fruit, Kirby can inhale objects as large as trees and move objects made of metal or stone that are twice his size. ・Copy Ability: After inhaling an enemy, Kirby can either choose to perform a Star Spit Attack or swallow the enemy to gain special moves if the enemy had a special power. 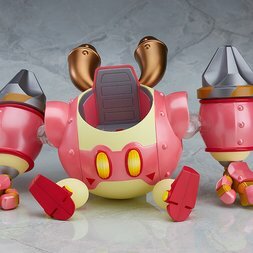 Wheel is a fan favorite Copy Ability in which Kirby transforms into a wheel and can travel at fast speeds while taking out enemies along the way. Sleep is considered by many to be Kirby’s most useless Copy Ability which leaves him in a slumber and defenseless for 5 seconds. Only with the Sleep Ability Scroll in Kirby: Squeak Squad can he regain some health while asleep. 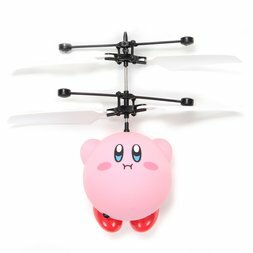 ・Fly/Float: After inhaling, Kirby can float or fly by flapping his arms. In some games, he can do this indefinitely. ・Air Gun/Air Bullet: After inhaling, Kirby deflates himself and uses the exhaled air to damage an enemy. ・Water Gun: When underwater, Kirby shoots a bubble of water or constant spray depending on the game. ・Slide Kick: Kirby slides on the ground with his legs out to inflict minor damage. ・Headbutt: Kirby jumps off the ground to inflict damage most often on Star Blocks but in some games enemies as well. 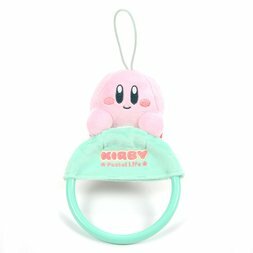 ・Guard: Kirby uses this move to protect himself from enemy attacks and damage. 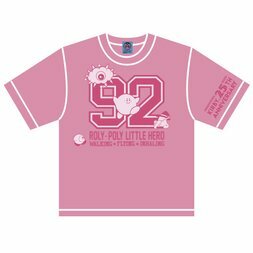 ・Masahiro Sakurai created Kirby in the color that he is today - pink. 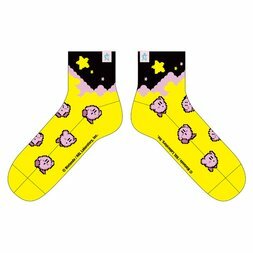 However, the Head of Nintendo’s Entertainment Analysis and Development wanted Kirby to be yellow. Although Kirby didn’t end up yellow, whenever a second player plays as a Kirby in a game, that Kirby is yellow. ・Kirby appeared white in the North American version of Kirby’s Dream Land (as well as in the artwork, cartridge label, box art, instruction booklet, and TV ad) due to Nintendo of America’s confusion over Kirby’s color. 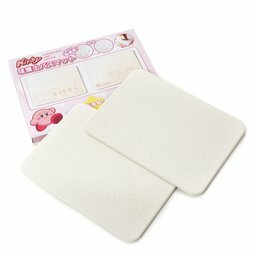 ・Kirby has no skeleton or teeth. 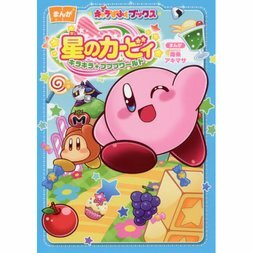 ・North America game box art often depicts Kirby with an angry expression while the Japanese game box art often depicts a cheerful Kirby. 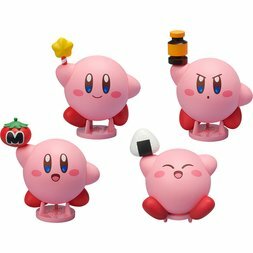 ・Kirby’s favorite food is tomatoes especially Maxim Tomatoes. 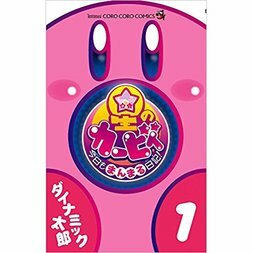 ・In the anime, where there are no tomatoes, Kirby eats lots of watermelon. ・Kirby rarely talks. 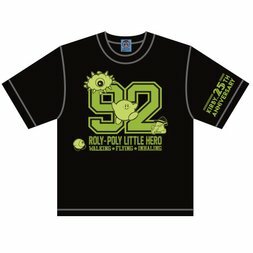 Instead he usually expresses himself by varying how he says “poyo” which is a meaningless word, but can be conveyed in ways that reveal what he is thinking or feeling.